Is Copan safe? What is there to do in Copan? Is the food just more rice and beans? And what is Copan Honduras famous for? These are just some of the commonly asked questions about Copan in Honduras – the town next to the UNESCO listed Ruins of the same name – which inevitably lead to many tourists passing it over, largely due to the lack of information out there about what it really is like. For the longer answer, and to encourage you to explore this tourist outpost on the Honduran mainland, I have put together a guide of things to do in Copan, Honduras by chatting to locals and exploring for myself. There is definitely enough here to warrant a visit of at least a few days because as the newly coined tourism slogan goes ‘Copan es MAS / Copan is MORE’. A clever and simple slogan which elegantly conveys why you should visit because Copan is more, or more precisely Copan is Mayans, Birds and Safe! And in my experience, this is certainly true! Only a direct and easy shuttle trip away from Antigua & Rio Dulce in Guatemala, Utila and Roatan in Honduras, Leon in Nicaragua and many points in El Salvador Copan offers not only a quick and easy transit point through the C-4 countries but also delicious and unique food, awe-inspiring sights, insight into ancient and contemporary culture, animals and the chance to tick another country off the list. I truly hope you take the opportunity to visit this beautiful place which is so often tarred by a one-sided media narrative – So here is the counter-narrative in the form of an inspirational list of the top things to do in Copan Ruinas Honduras! #11. 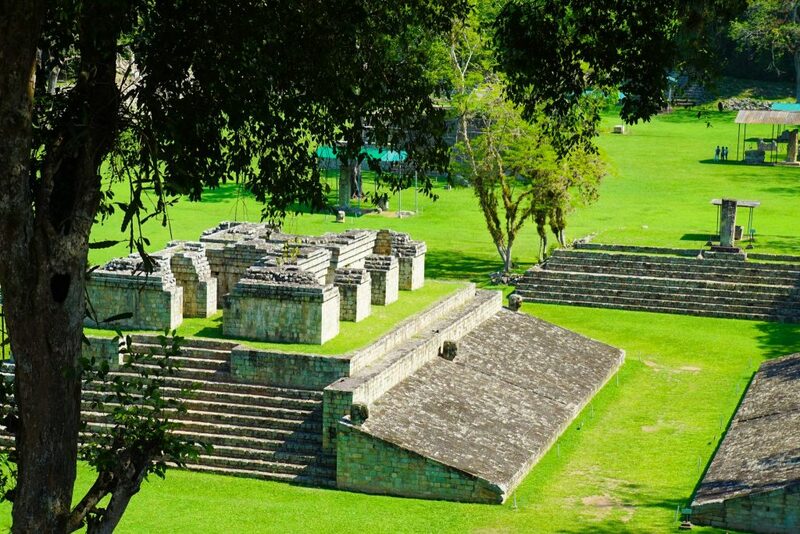 Explore The Unesco World Heritage Listed Ruins Of Copan! 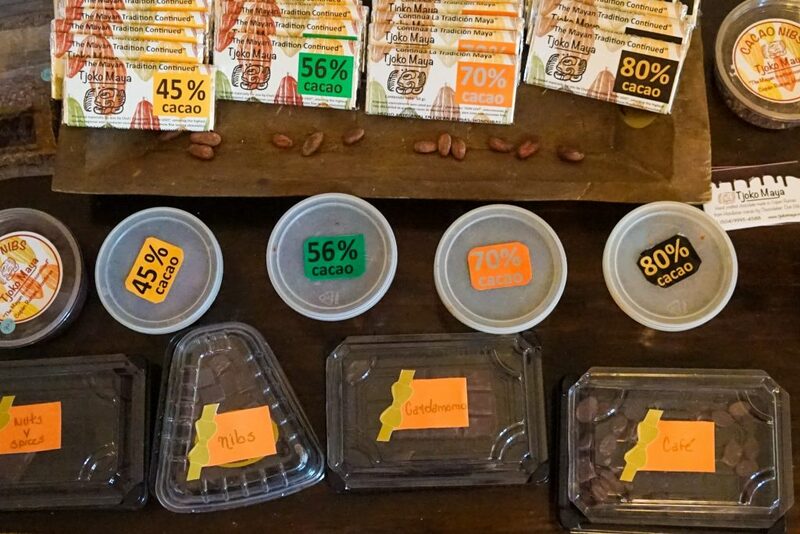 Did you know that the Mayans of Central America were the first to discover cocoa all the way back in 900 A.D. They learned to use the beans inside the cocoa pods to produce a liquid – which was then combined with chili peppers and water (sadly they had no sugar!). This frothy chocolate drink was only to be served to the ruling elite and was known as the ‘food of gods’ – and today we have the word ‘chocolate’ because of the Mayan word ‘xocolatl’ or ‘bitter water.’! 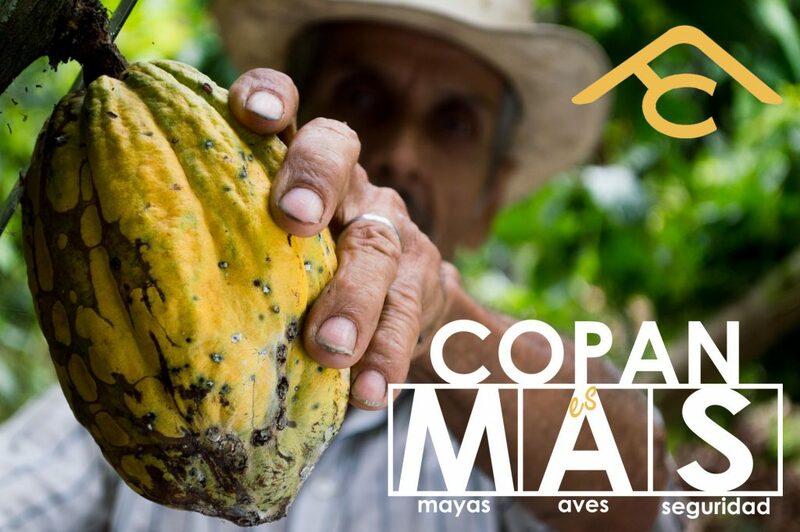 Luckily today chocolate has sugar and for everyone in Copan Ruinas, Tjokomaya is bringing the tradition of chocolate making back to the region where it began – Visit their boutique chocolate factory inside Don Udo’s hotel and discover the taste of Honduras Chocolate and the original Mayan flavor! Did you know Honduras is the largest coffee producer in Central America (and 7th in the whole world) and has over 110,000 coffee farms – 92% of which are classified as small producers! f you have time the over-night option is recommended to really get to experience life on a Honduran farm, complete with a campfire under the stars – one of the top things to do in Copan Ruinas Honduras. 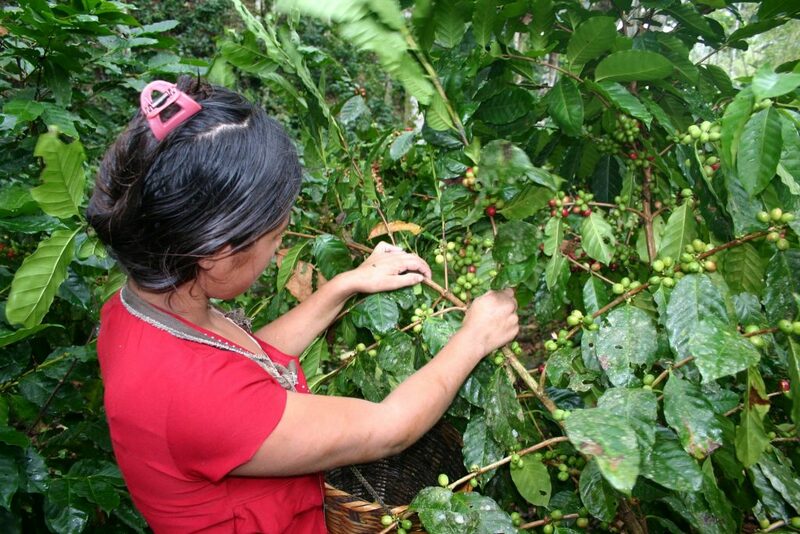 Discover more about Copan’s coffee tour options with Finca Castejon or with Welchez Copan Gourmet Coffee. 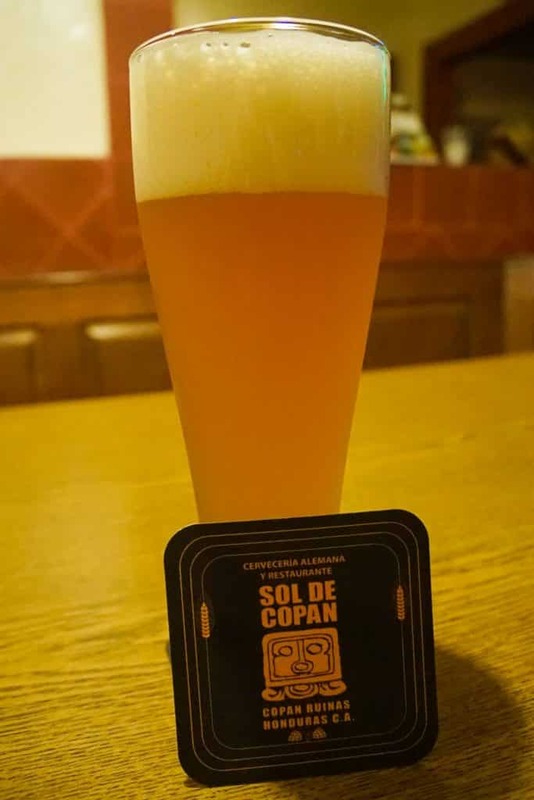 Still made according to the Reinheitsgebot or German Beer Purity Law of 1516, Sol de Copan German Brewery & Restaurant is run by Tomas, a Bavarian expat who opted for a simpler life brewing beer in this unexpected location. If you’re lucky he may even tell you his crazy story himself! 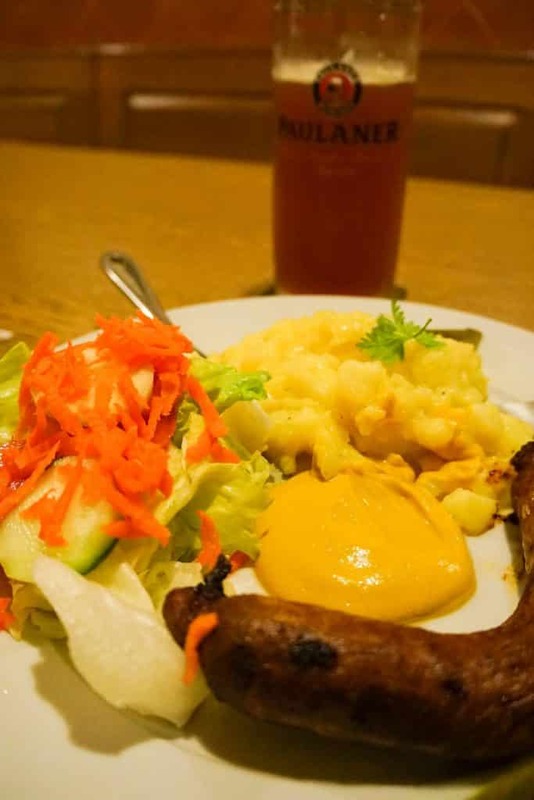 It’s some of the best beer you will ever taste, and accompanied by traditional Bavarian food. Freshly poured beers cost around 75L (about 3.5$) and the traditional Bavarian cuisine starts at 130L (about 5.5$) On weekends it gets very full and it’s easy to imagine you are in a Munich Beer Hall or at Oktoberfest. Offering some of the cheapest Horseback tours I’ve seen in the world – at $15 USD for 3 hours – Copan offers trails along the river bank, into the mountains and to a hidden indigenous village in the forest. Complete with a true Honduran cowboy guide, horseback riding in Copan offers a glimpse of real life in Honduras as well as the chance to explore further the river and floodplains for which the Mayans chose Copan. 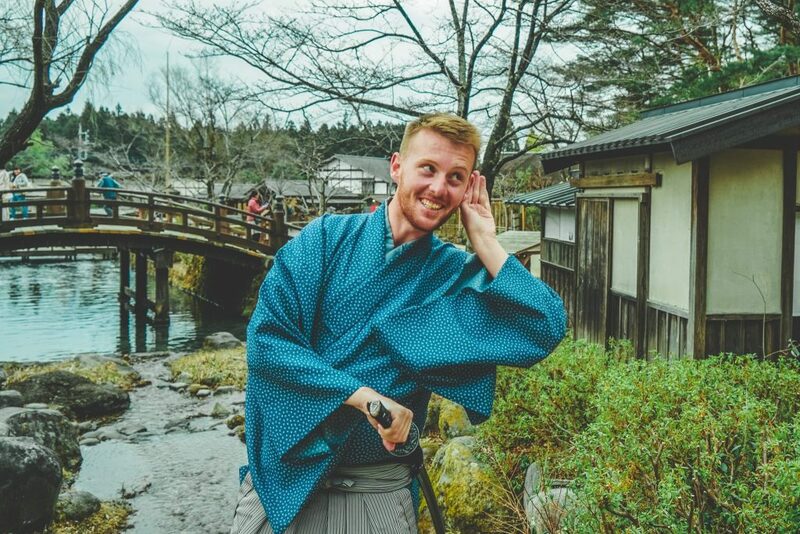 Talk to the friendly guys at BaseCamp Tours to organize your own unique experience – you will not regret it! 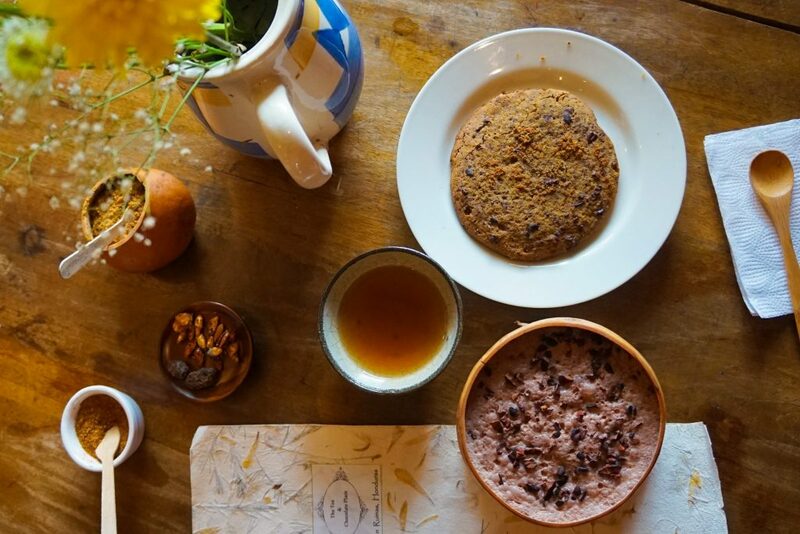 The Tea & Chocolate Place / El Lugar del Té & Chocolate in Copan Ruinas, Honduras is hard to explain. It’s part shop, part museum, part nature retreat – but most it is the love child of David Sedat and his family who wanted to use his extensive knowledge about the Maya Culture and ‘miracle’ plants to create a space for re-connecting with nature and through which guests can discover the unique properties of these plant’s, as well as tasting different tea brews and discovering authentic chocolate beverages – just like the Maya’s might have had. Only open from 4 to 6 daily, this is a place to relax and take in the view with an outside terrace with one of the best views in Copan Ruinas – but be on time as it is extremely popular even given its somewhat bizarre location! 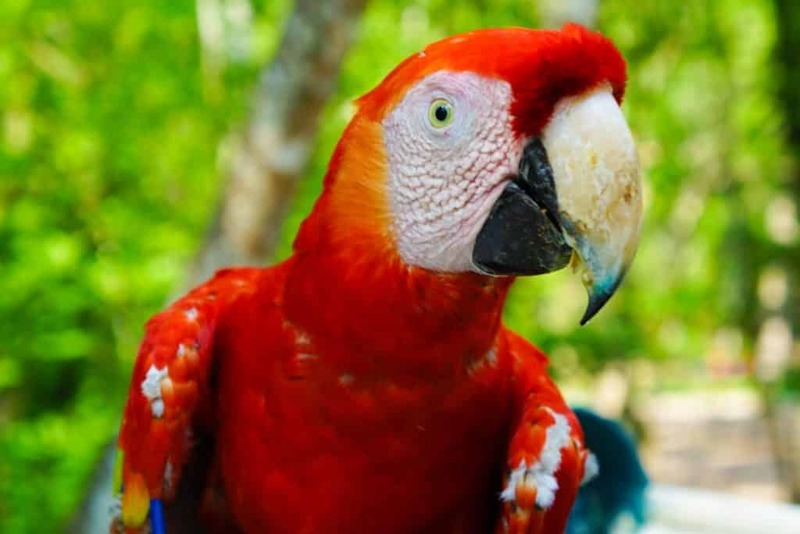 A sanctuary for rescued and confiscated birds all over Honduras, Macaw Mountain endeavors to educate people and rehabilitate rescued animals in natural habitat, to support breeding and preservation projects, with the goal of release. And I’d say they are a raging success given the large amounts of Scarlet Macaw’s at Copan Ruins flying free! An incredible experience not to be missed in Copan Ruinas, and the onsite natural swimming pool also is a great bonus in the mid-afternoon heat! Don’t forget to ask them about their end of a Sacred Valley of the Scarlet Macaw in Honduras. Oh, and if you buy your ticket through BaseCamp Tours in town you get a free tuk-tuk ride there! Definitely one of the cutest top things to do in Copan Ruinas Honduras! 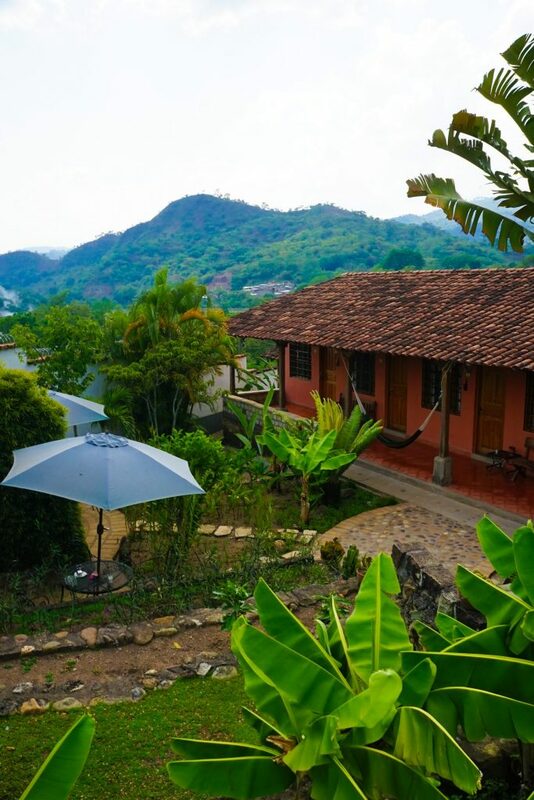 If you’re not sold yet you can read a full review of Macaw Mountain in Copan Honduras here! The best cafe in Copan is a little out from the center of town, and you will have to ask for directions as it’s a bit hidden but it is worth it. 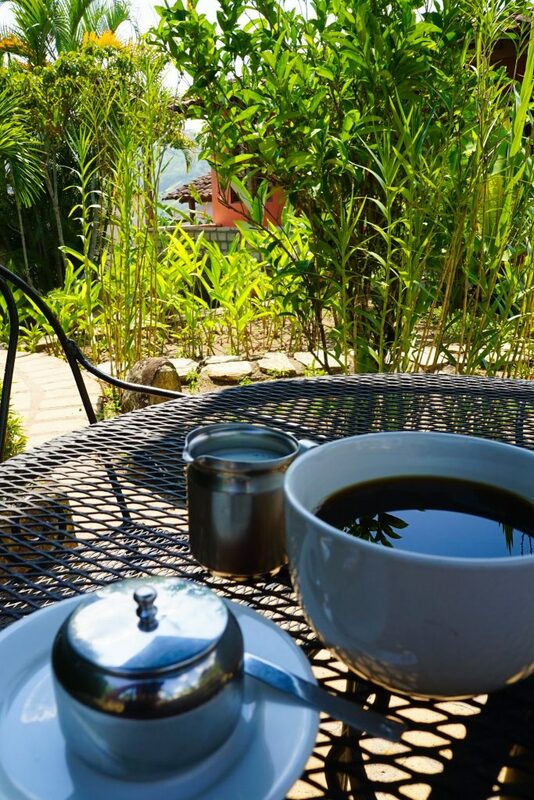 Delicious Italian and Spanish inspired snacks served in a tranquil garden with the biggest coffee I have ever seen – It’s delicious but it might as well be a coffee soup. Perfect place to work and stay caffeinated to say the least! You can find this crazy cup of Joe at La Casa de Café, an attractive colonial inspired building only four blocks from Copán’s Central Park! Tick that quintessential Central American experience off the bucket list with Zip Lining in Copan. Prices are far lower than zip lining in Costa Rica and here you get 16 zip lines through the rainforest ending at Macaw Mountain, which is included in the ticket price. An exhilarating experience with a chance to be real-life Superman – and on one of the world’s longest zip lines! 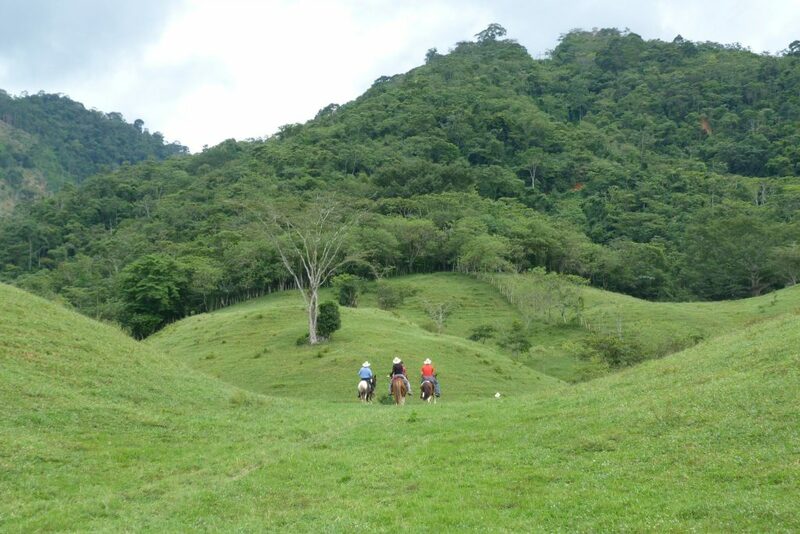 Copan Ruinas Zipline Adventures can be arranged through Honduras Canopy Tour in town. 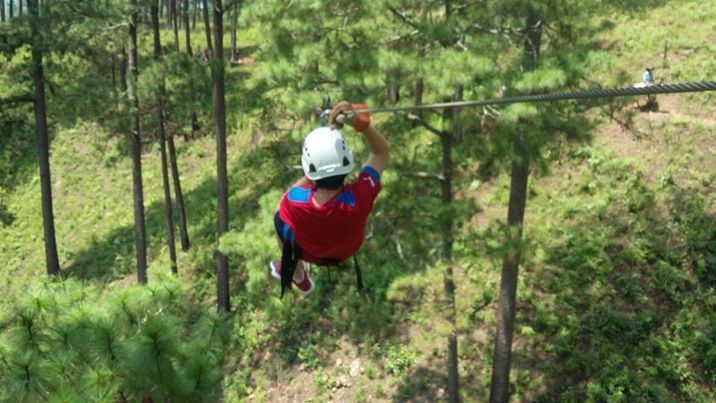 For adrenaline junkies, this is one of the top things to do in Copan Ruinas Honduras! A 3 hour unique tour run by BaseCamp Tours that takes a look at real Honduras life, culture, drugs, politics and more. An alternative behind-the-scenes expose which most tourist’s will never get to see. 50% of the tour fee goes to providing local children with books through as special educational project: ‘Nacho para todos’ so this is really a win – win! They also offer nature hikes to hidden Mayan ruins in the mountain (outside of the UNESCO zone) and to a small Honduran village untouched by tourism. Less than an hour away, the Luna Jaguar Spa Resort with 15 gorgeous pools on a lush mountainside are sure to wash the grime, and stress, away. A great way to relax in the afternoon! There are also massages, mud baths and a general swimming pool for the kids! 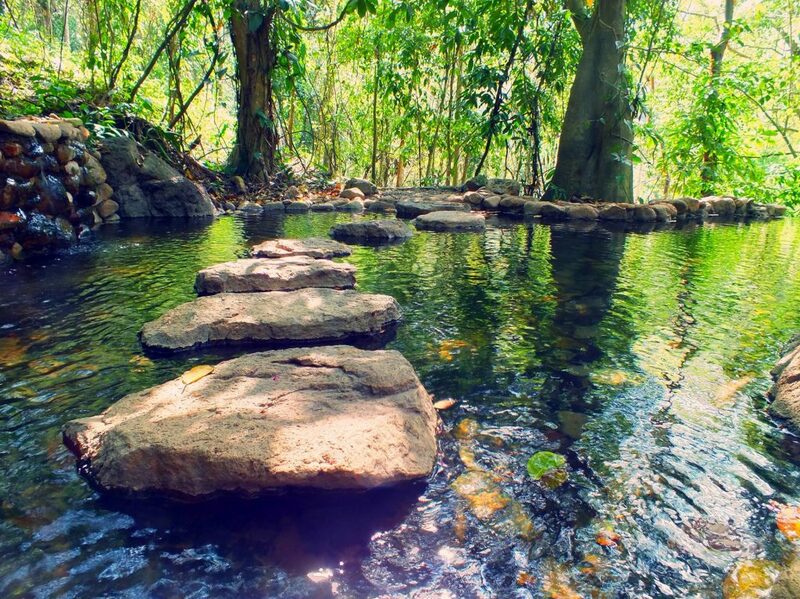 Naturally heated and surrounded by dense Honduran jungle scenery these are truly some of the world’s best hot pools. Various beauty treatments are available, as well as a hydro-massage under a stream of water or a mud facial. The hot springs are one hour away from Copan via a scenic dirt road so it is suggested to negotiate with a taxi or local tour operator for a shared or private trip to the hot springs. You had to know this was coming – The reason Copan Ruinas sprung up in the first place is the incredible Maya Ruins of Copan. Re-discovered way back in 1570 these ruins are some of the most important sites of the Mayan civilization – along with Tikal and Chichen Itza – but were not even excavated until the 19th century and today much of the ruins still lay buried in the surrounding fields. 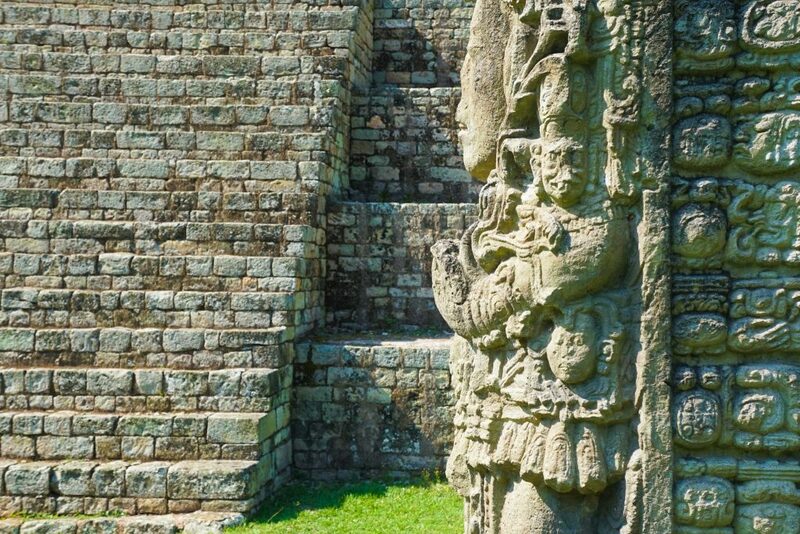 Luckily however the ruined citadel and imposing public squares are on display, and even the most jaded temple explorer will be impressed by the level of details still left after Copan’s abandonment in the early 10th century. A short 5 minute tuk-tuk ride from the main square – Copan and it’s adjacent museum are worthy of an entire day together and are easily one of the top things to do in Copan Ruinas Honduras. Copán Ruinas is more than just a stopping point for the famous Copan Maya ruins nearby, but a destination in it’s own right! 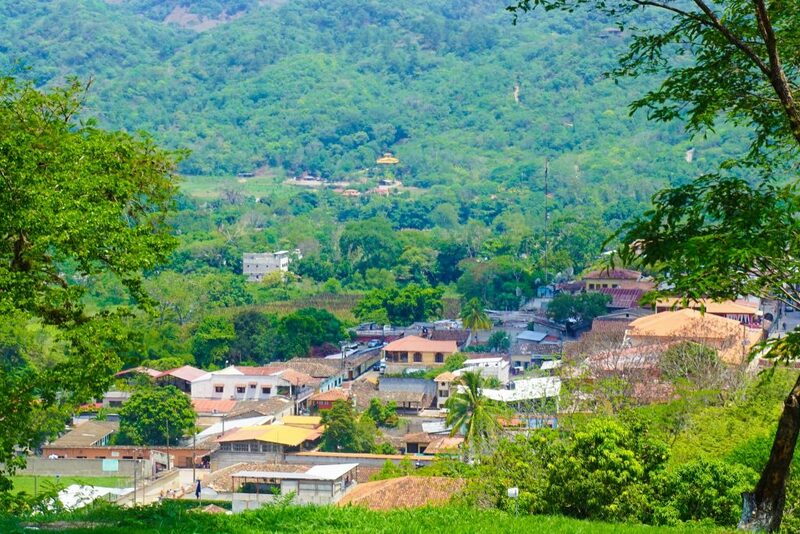 Copan offer’s prospective tourists an intriguing town from which to explore Honduran culture and wildlife with friendly people and amazing food in a beautiful colonial town. 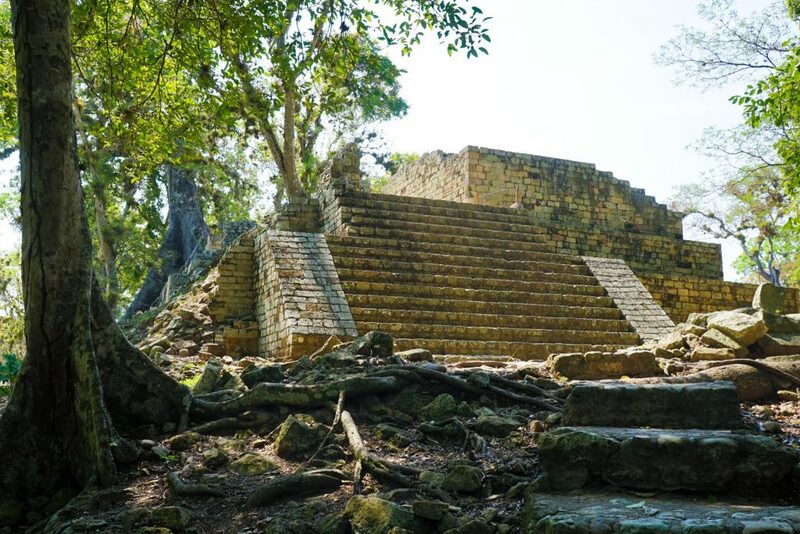 Hopefully, now you know what is Copan Honduras famous for and have found these top things to do in Copan Ruinas Honduras useful! Perfect for spending 3 days or more – Copan in Honduras is safe and waiting for you!